Roorkee: Indian Institute of Technology Roorkee has established an International Class Hydraulic Turbine R&D Laboratory at its Alternate Hydro Energy Center (AHEC). 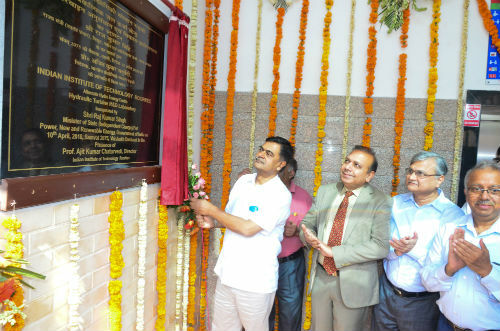 Shri R.K. Singh, Hon’ble Minister of State (Independent Charge) for Power, New and Renewable Energy, Govt of India, inaugurated the sophisticated laboratory today, 10th April 2018, in the presence of Shri Anand Kumar, Secretary MNRE, Prof A.K. Chaturvedi, Director, IIT Roorkee and other senior officials and leaders of hydropower industry.